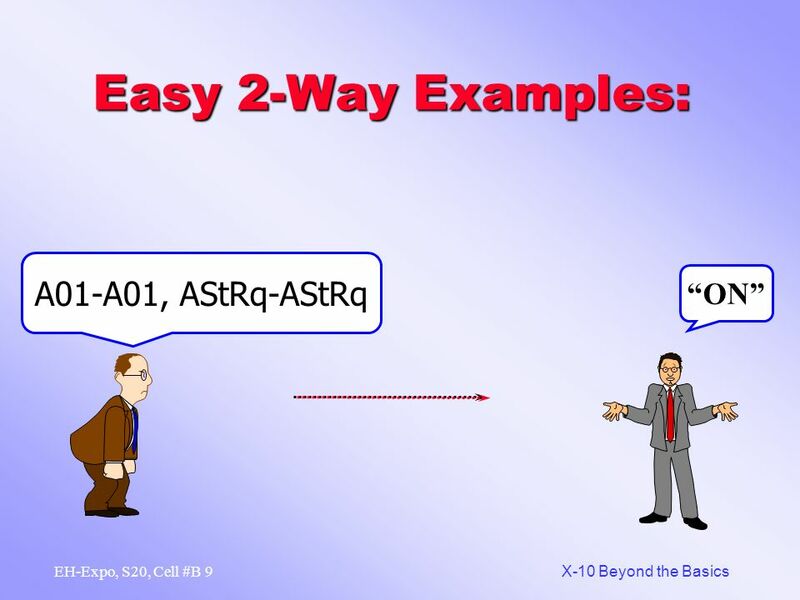 2 1 X-10 Beyond the Basics EH-Expo, S20, Cell #B Extended Code Capabilities! More Features –More Features – Having Extd Code capability allows for new products with advanced features like scenes, and direct dimming with 64 levels. More AddressesMore Addresses – Even though Extd Code does not automatically allow for more addresses, it does allow for expansion of the 256 address set. 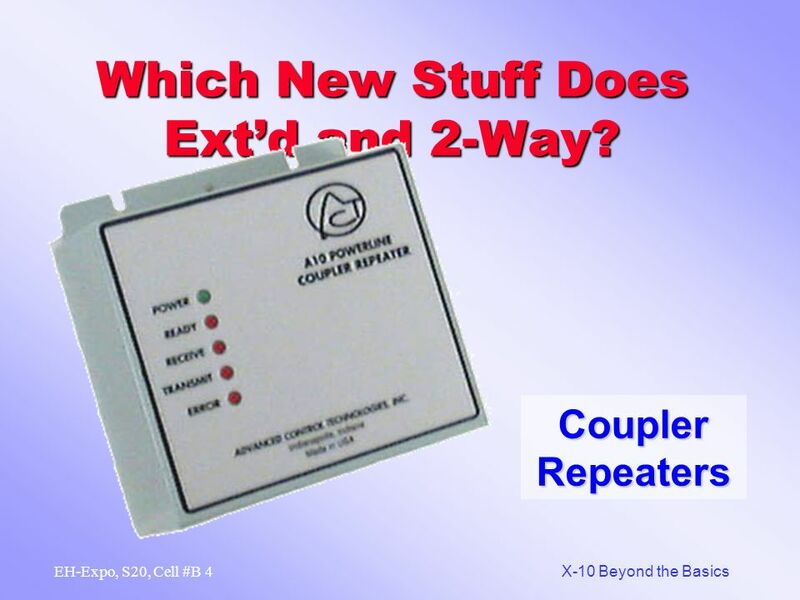 Increased ReliabilityIncreased Reliability – More polling options beyond that of std code but to take advantage of this, the new devices also need to be capable of true 2-way. 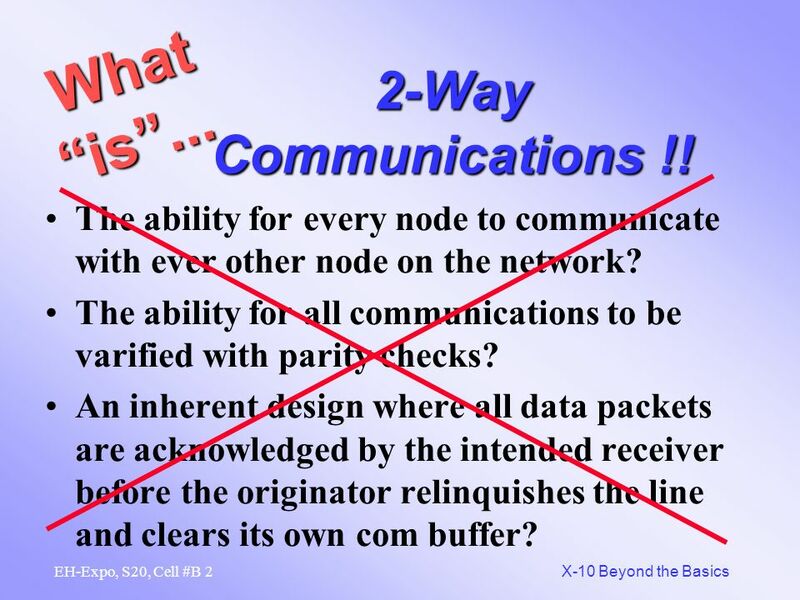 4 3 X-10 Beyond the Basics EH-Expo, S20, Cell #B 2-Way Communications !! 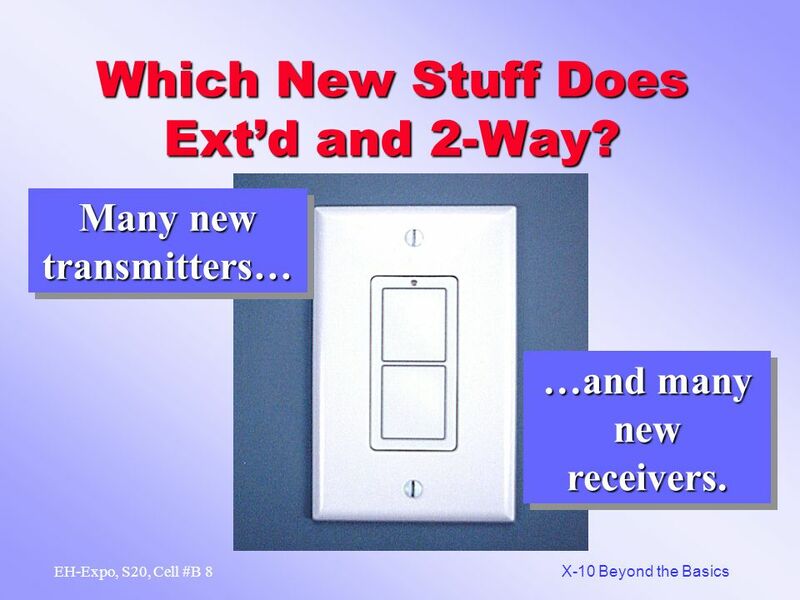 The ability for... X-10 version of.. -every transmitter to also be a receiver. -every receiver to also be a transmitter? -receivers to be polled so that the transmitter (or controller) knows the state (level) of that receiver. 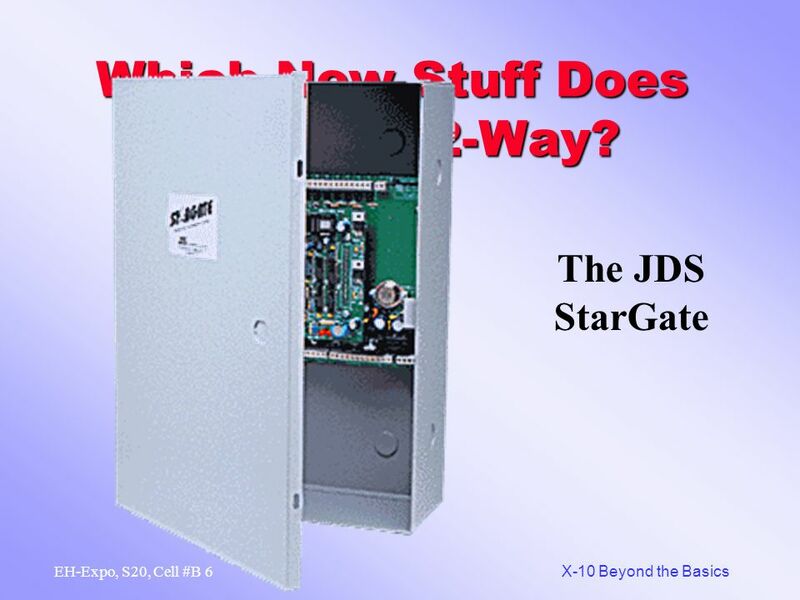 -receivers to transmit their current state in the event of a manual change of state. 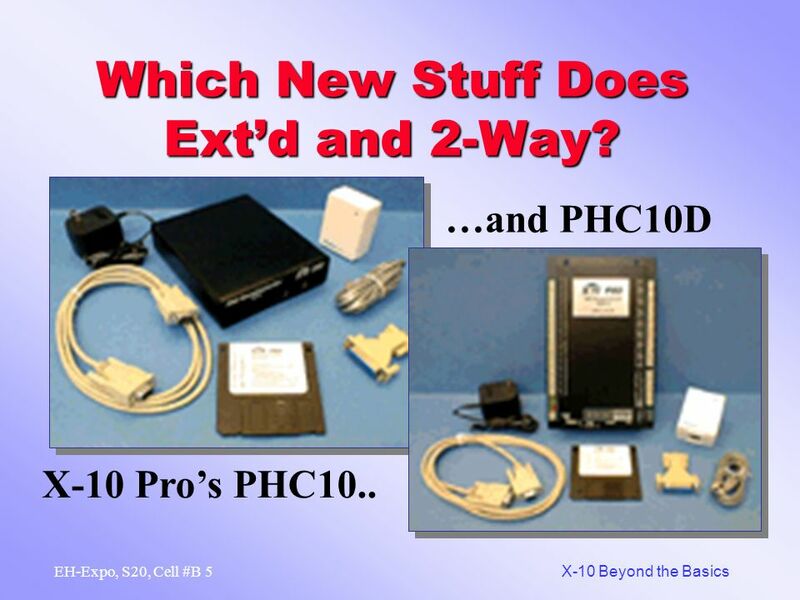 So …What is the biggest selling 2-way device in the X-10 world?? The TW523 !! 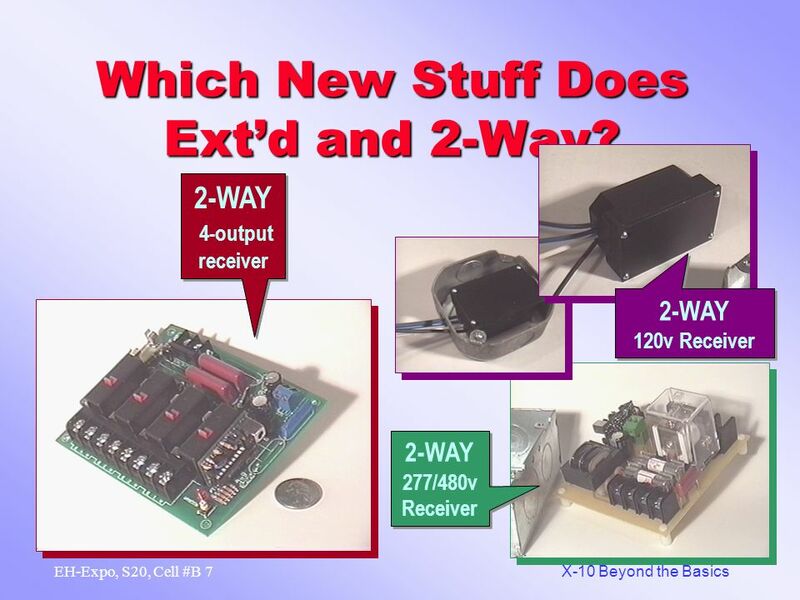 9 8 X-10 Beyond the Basics EH-Expo, S20, Cell #B Which New Stuff Does Extd and 2-Way? Many new transmitters… …and many new receivers. 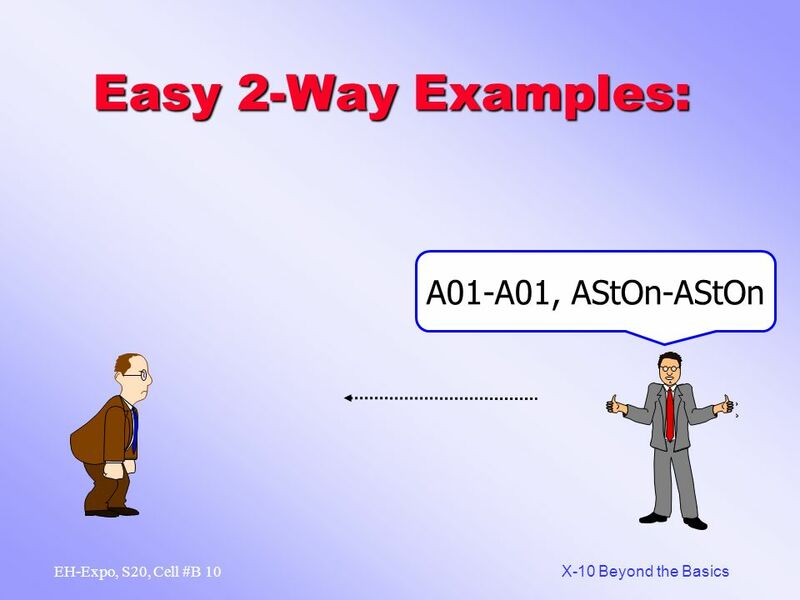 13 12 X-10 Beyond the Basics EH-Expo, S20, Cell #B Easy 2-Way Examples: A01-A01, AStOff-AStOff New devices can also do: 1. Extended code direct dimming, 2. Scenes, …plus lots more. Any questions on 2-way before we try to squeeze in some 3-phase and troubleshooting? 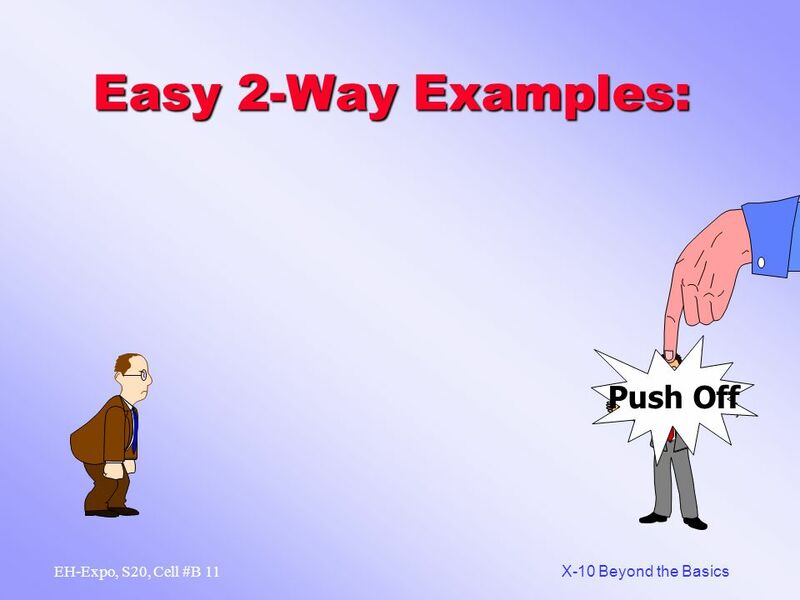 Download ppt "1 X-10 Beyond the Basics EH-Expo, S20, Cell #B Extended Code Capabilities! 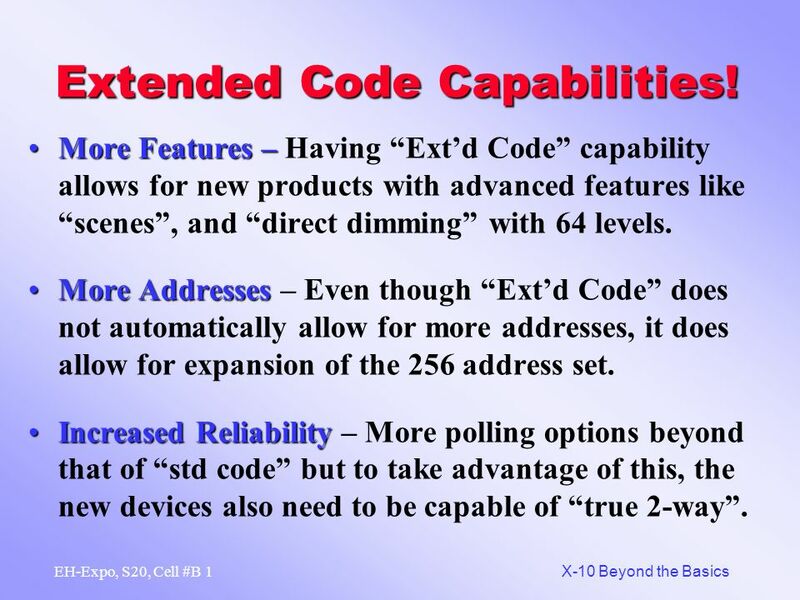 More Features –More Features – Having Extd Code capability allows for new products." 1 X-10 Beyond the Basics EH-Expo, S20, Cell #A Good Afternoon!!! Good Afternoon!!! Welcome to the class. EH-Expo Way X-10 & Intro to Extended Code! Learning about Neighboring and Remote Devices PJC CCNA Semester 2 Ver. 3.0 by William Kelly. The Transmission Control Protocol (TCP) carries most Internet traffic, so performance of the Internet depends to a great extent on how well TCP works. Automatic Packet Reporting System. APRS What is it? Designed in the late 1980s. It was designed to marry RF traffic with what, at the time, was the comparable. Layer 2 and Switching. How Computers Communicate  In a two node flat network data can be sent without addressing.